Greg Mast specializes in complex insurance coverage and business litigation for domestic and international insurers. Having spent time as both a law clerk and in-house counsel, Greg has earned a reputation as a respected advocate inside and outside of the courtroom. In addition to his nationwide practice, Greg also heads up Fields Howell’s Tennessee office. As a foundation for his legal practice, Greg spent two years working in the U.S. House of Representatives, where his legislative responsibilities included, among other areas, cyberlaw and international affairs. Thereafter, he worked for a year as a judicial law clerk in a Georgia Superior Court. While at Fields Howell, Greg was twice seconded to the Lloyd’s, London Insurance Market, serving as U.S. claims counsel and syndicate counsel for one of the market’s largest open market property insurers and treaty reinsurers. 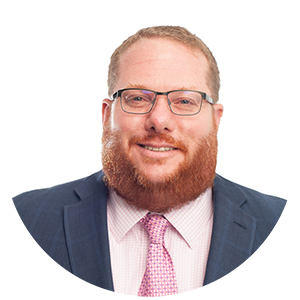 With experience in government, the judiciary, in-house, and private practice, Greg brings a unique skill set to the practice of law. As a result, he is often retained to assist clients with complex insurance disputes across the country, including both first and third-party coverage as well as business disputes involving class actions, binding authority agreements, and insurer versus insurer conflicts. Greg received his Juris Doctor from Emory University School of Law in 2003. “Wind-Aided Hail: Preparing Contested Claims for Litigation,” presented to members of the Southern Loss Association by Gregory L. Mast in Alpharetta, Georgia (February 2019). Currently, representing insurers in numerous large property loss claims arising out of Hurricanes Harvey, Irma, and Maria across the southeastern U.S. and Caribbean. Hudson Enterprises, Inc. v. Certain Underwriters at Lloyd’s London, 855 F.3d 874 (8th Cir. 2017), affirming Case No. 4:15-cv-12, 2016 WL 3031790 (E.D. Ark. 2016). In a case of first impression, persuaded the Court that a river can flood within its banks, such that coverage was unavailable for damage to multiple floating docks. Chaucer Corporate Capital (No.2) Ltd. v. Norman W. Paschall Co., Inc., 525 Fed.Appx. 895, 2013 WL 3963464 (11th Circuit August 2, 2013), 11th Circuit Court of Appeals affirmed summary judgment, regarding $2 million fire claim, to the insurers based on breach of the protective safeguards endorsement. Lead counsel in settlement negotiations of $100 million claim for multi-location property damage and business interruption, a rising out of Hurricane Katrina. Faraday Capital Ltd. v. 325 Goodrich Ave., LLC, Case No. 5:10-CV-278, 2012 WL 2990273 (M.D.Ga. July 20, 2012), court granted summary judgment as to insureds multi-million dollar claim for flooding, finding that vacancy permit’s exclusion for sprinkler leakage barred coverage. Represented property insurers in $20 million business interruption lawsuit resulting from boiler failures. Gulf Coast Asphalt Co., LLC v. Ace American Ins. Co., Case No. 4:08-CV-03620 (S.D.Tex. April 1, 2009), trial court granted insurer’s motion to dismiss related to the application of the time element waiting period for an energy disruption claim. Handberry v. Stuckey Timberland, Inc., 812 S.E.2d 547 (2018). In this wrongful death case, successfully argued for the Georgia Court of Appeals to affirm the dismissal of the firm’s client based on Georgia’s Recreational Property Act. Agape Senior Primary Care, Inc. v. Evanston Ins. Co., 304 F.Supp.3d 492 (D.S.C. 2018). Secured summary judgment on all extra-contractual damages claims, which included allegations of unreasonable coverage denial and failure to negotiate in good faith. Liberty Corporate Capital Ltd. v. Security Safe Outlet, Inc., 937 F.Supp2d 891 (E.D.Ky. March 27, 2013), trial court granted summary judgment to insurers in data breach/cyber theft case finding no coverage under a commercial general liability policy. Affirmed by the U.S. Court of Appeals for the 6th Circuit in Liberty Corporate Capital Ltd. v. Security Safety Outlet, Inc., Case No. 13-5539 (6th Circuit August 15, 2014). Zahran v. Greater Columbus Chamber of Commerce, Inc., Case No. A12A2221 (Ga.Ct.App. Nov. 9, 2012) Georgia Court of Appeals affirmed summary judgment and the award of attorneys’ fees in alleged fraud suit seeking more than $20 million. HealthPrime, Inc. v. Smith/Packett/Med-Comm, LLC, 428 Fed.Appx. 937, 2011 WL 2176166 (11th Cir. June 3, 2011), 11th Circuit affirmed dismissal of the suit based on the statute of limitations. Alea London Ltd. v. Cook, Case No. 4:06-CV-0238, 2007 WL 5376619 (N.D.Ga. Sept. 19, 2007), summary judgment awarded to insurer in quadriplegic injury case due to late notice. The 11th Circuit affirmed in Alea London Ltd. v. Cook, 285 Fed.Appx. 697, 2008 WL 2816074 (11th Cir. July 23, 2008). In related case involving the same injuries, the insurer failed to immediately seek declaratory relief was deemed to have waived in late notice defense. See Hoover v. Maxum Indem. Co., 291 Ga. 402, 730 S.E.2d 413 (2012). Liberty Corporate Capital, Ltd. v. Nu Zeta Chapter of Lambda Chi Alpha Fraternity, Case No. 3:05-CV115, 2007 WL 496736 (M.D.Ga. Feb 13, 2007), on issue of first impression in the U.S. involving the death of a prospective fraternity member, summary judgment granted to insurers based on the alcohol exclusion in a fraternity insurance policy. Capp v. Carlito’s Mexican Bar & Grill No. 1, Inc., 288 Ga.App. 779, 655 S.E.2d 232 (2007), Georgia Court of Appeals reversed the trial court on issue of first impression, holding that punitive damages are not recoverable for the over-service of a patron in this liability dispute. Mikell v. Certain Underwriters at Lloyd’s, London, 288 Ga.App. 779, 655 S.E.2d 232 (2007), Georgia Court of Appeals affirmed summary judgment based on statute of limitations in this wrongful death/liquor liability suit seeking to recover multi-million dollar judgment. Becks v. Pierce, 282 Ga.App 229, 638 S.E.2d 390 (2006), Court of Appeals reversed denial of summary judgment to bar owner based on the absence of evidence in this Dram Shop Act case. Successfully obtained dismissal of numerous insurers in case seeking millions in damages best on allegations they conspired to write illegal insurance. Representing certain insurers in force-placed class action. Certain Underwriters at Lloyd’s, London v. Bass, 461 S.W.3d 317 (Ark. 2015), successfully represented insurers in their efforts to intervene in a putative class action, which challenged their ability to do business in Arkansas. Hudson Enterprises, Inc. v. Risk Placement Services, Inc., Case No. 4:14-CV-12, 2015 WL 3454502 (May 29, 2015), court granted motion dismissing Insurance Trade Practices Act, breach of fiduciary duty, and bad faith claims. Obtained summary judgment in Arkansas state court for insurance brokers in a series of class actions alleging that they placed business with unapproved insurers. Represented multiple insurers in class actions arising out of depreciation of labor costs. Counsel to multiple defendants in the Insurance Brokerage Antitrust Multi-District Litigation. Recovered $1 million for insurers and insureds resulting from an apartment fire in Georgia arising out of indoor use of fireworks by outpatient rehabilitation patient. Recovered more than $1 million policy limits for apartment complex and its insurers damaged by university student that failed to extinguish cigar. Represented insurers in a confidential settlement that reimbursed insurers for losses suffered when cover holder exceeded its underwriting authority. Represented insurers in a confidential settlement with defense counsel, who failed advise of the opportunity to settle resulting in a multi-million dollar exposure to the insured. Defeat The Beat, Inc., v. Underwriters at Lloyd’s, London, 194 N.C.App. 108, 669 S.E.2d 48 (2008), North Carolina Court of Appeals affirmed summary judgment for insurers arising out of event cancellation holding policy did not cover lost profits and the unfair or deceptive practice statute was not violated. Liberty Corp. Capital Ltd. v. Kalmus, Case No. 5:16-cv-1076, 2017 WL 2889520 (W.D.Tex 2017). Successfully opposed retail agent’s motion to dismiss. The insured contended that the retail agent was an agent of the insurers and had incorrectly described the coverages available under the disability policy.